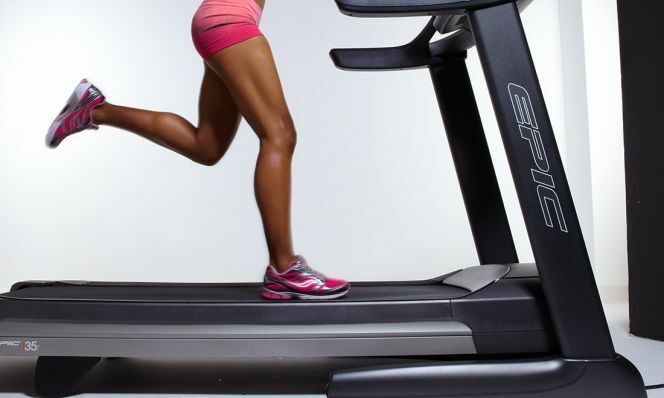 9 true-or-false questions to find out what’s good for your cardio health. T or F: Getting 10K steps a day is good for cardiovascular health, but getting 70K a week does the trick, too. 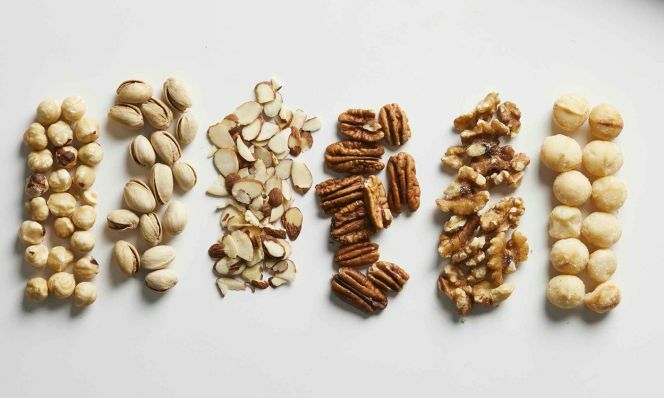 T or F: If you want a snack that’s good for your heart, nuts are a great choice. In fact, getting your crunch on was supported by a 2017 study from Harvard T.H. Chan School of Public Health. But here’s the catch: The amounts that led to the health benefit were small. They worked out to just two or more 1-ounce servings a week. In case you’re wondering, 1 ounce is only about 24 almonds, 18 medium cashews, 14 walnut halves or 12 hazelnuts. That makes it pretty easy to mindlessly munch your way to multiple servings. Also keep in mind that nuts are calorie-dense, so if you overindulge you’ll likely gain weight—and that in itself increases your risk for heart disease, says Politi. 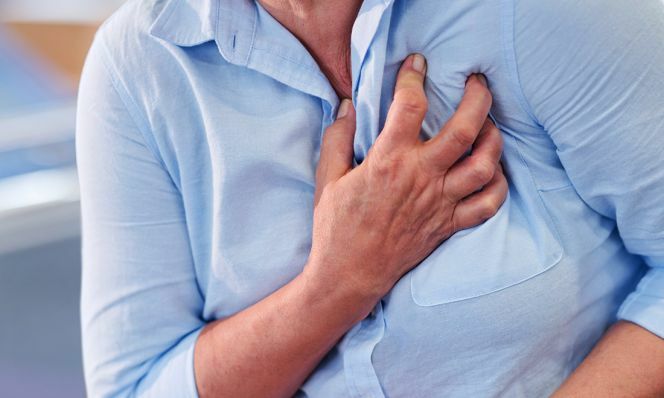 T or F: Worried about having a heart attack or stroke? Get an ECG. A coronary artery calcium (CAC) scan might be more useful. It’s a good option if you’ve never been diagnosed with cardiovascular disease and your doctor is uncertain about your level of risk or whether statins should be prescribed, says Ron Blankstein, MD, a preventive cardiologist at Brigham and Women’s Hospital and associate professor of medicine and radiology at Harvard Medical School. “It’s the strongest predictor of future cardiovascular events.” A CAC scan detects and measures calcium-containing plaque in the arteries of the heart, which is a significant indicator of future disease. An ECG gives information about other concerns. “It may be able to detect if someone had a prior heart attack or they have an abnormal rhythm,” Blankstein explains. T or F: If your parents had heart disease, you have a high risk of developing it. Only a small proportion of heart disease cases are a result of genetics, but many cases of heart disease may be related to lifestyle. Bad choices (like smoking, poor diet or never letting your workout clothes see the light of day) can lead to clogged arteries and weak muscles. The good news: “The majority of heart disease is preventable by a combination of lifestyle changes and preventive medical therapies,” says Blankstein. 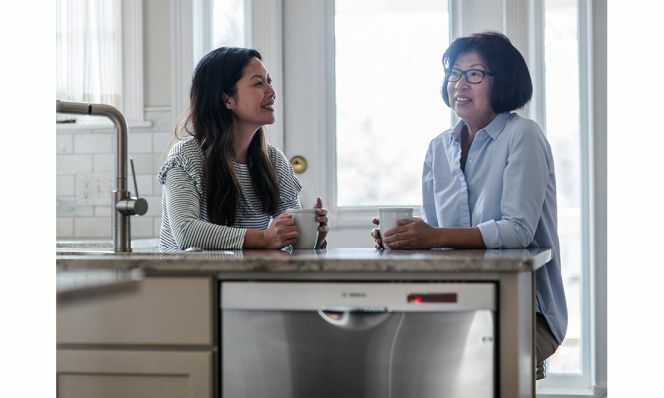 Good habits (like eating well and maintaining a healthy weight) can help counterbalance a dicey family health history. In fact, changes in lifestyle and diet were associated with a nearly 50% lower risk of coronary artery disease in patients who had a high genetic risk, according to a 2016 study in The New England Journal of Medicine. T or F: Having red wine with dinner is definitely a good idea for your heart. Just like the news on coffee and carbs, the research about wine’s impact on your health seems to keep changing. 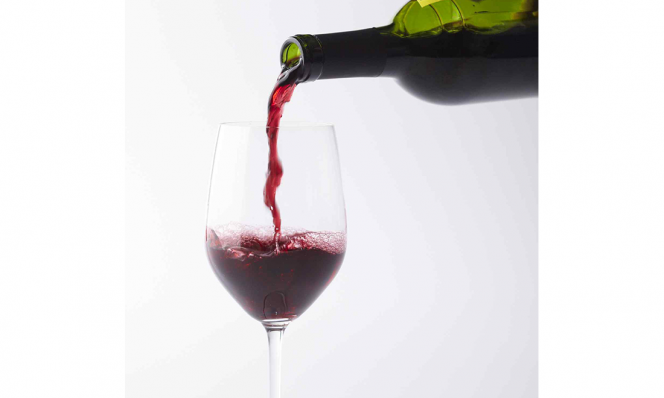 Here’s what we know: Enjoying a glass of red wine might be good for your cardiovascular health thanks to the antioxidants it contains. One way they might help is by protecting the lining of your heart’s blood vessels. However, drinking too much red wine (more than a 5-ounce glass a day for women) could raise your blood pressure, subsequently increasing your risk for heart disease, Politi says. One more caveat: While a recent study confirms that moderate drinking might be good for your heart, it doesn’t recommend that nondrinkers start drinking to lower their risk of heart disease. If you’re not already raising a glass, there’s no need to start now. T or F: Stress and anger put you at a higher risk for heart disease. And there’s a long list of reasons why that could be enough to convince you to take up yoga or download a meditation app. People who experience regular stress or anger may not exercise as much, might smoke and tend to eat more, Blankstein explains. In addition, increased anger and stress have both been found to cause elevated amounts of the hormone cortisol, which can increase the level of inflammation in our bodies. (And research has linked inflammation to heart disease.) Finally, stress is also associated with increased platelet activation, which can make you predisposed to blood clots, says Blankstein. 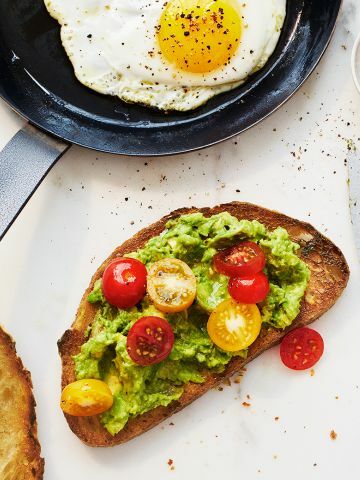 T or F: Scrambled eggs with cheese are better than whole-wheat toast with avocado. False—but there’s more to the story. Yes, avocados are heart-healthy. But eggs are by no means the enemy, having 1.5 grams of saturated fat each. Similarly, each half of an avocado contains 1.5 grams. The cheese is what you need to factor carefully into this equation. Just 2 ounces of cheddar has about 12 grams of saturated fat—1 gram shy of the daily limit recommended by the American Heart Association. Saturated fats should make up only 5% to 6% of your daily dietary intake, so watch your numbers to look out for your heart. 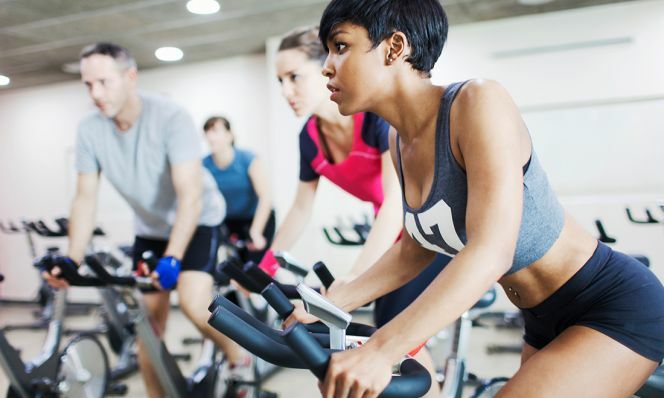 T or F: Indoor cycling classes could be bad news for your heart. False—despite the headlines you may have seen. When several people ended up in the hospital after participating in an indoor cycling or Spin class, the American Journal of Medicine decided to look into it. Experts say it’s not the workout itself that causes the risk, but how hard you work during it. Short story: Don’t try to be an overnight athletic success. 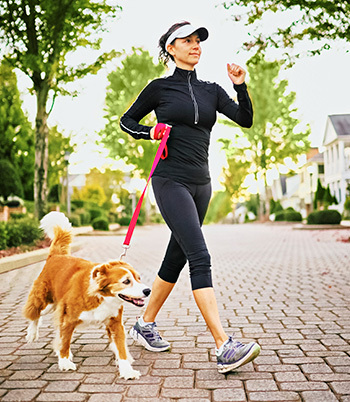 “With any type of exercise, you have to build up to it to do it safely,” says Pamela Ouyang, MBBS, director of the Johns Hopkins Women’s Cardiovascular Health Center. If you don’t have enough breath to talk to someone (even just a few words) while exercising, you need to slow down. T or F: Walking is better for your heart than running. “The ideal activity is something you like because then you will do it,” says Ouyang. So if you’d rather power walk with your neighbor in the morning instead of trying to hit a nine-minute mile on the treadmill, know that it’s perfectly fine to take the pressure off. But we did say power walk: No strolling allowed if you want significant benefits. Put enough effort into it to feel that you’re working moderately hard.